The dogfish can be found in the eastern part of the Atlantic Ocean. This area is also known as FAO 27. The dogfish is also known as the common smooth-hound or by its Latin name, which is Mustelus mustelus. Besides the Atlantic Ocean, you can also find the dogfish around the British Isles and the Canary Islands, and in the Mediterranean Sea and the English Channel. Our dogfish is also caught in the English Channel. This is the reason why we buy our dogfish from trawlers. After the dogfish are caught, they are immediately frozen. We do this aboard so we can ensure you that our dogfish is fresh. 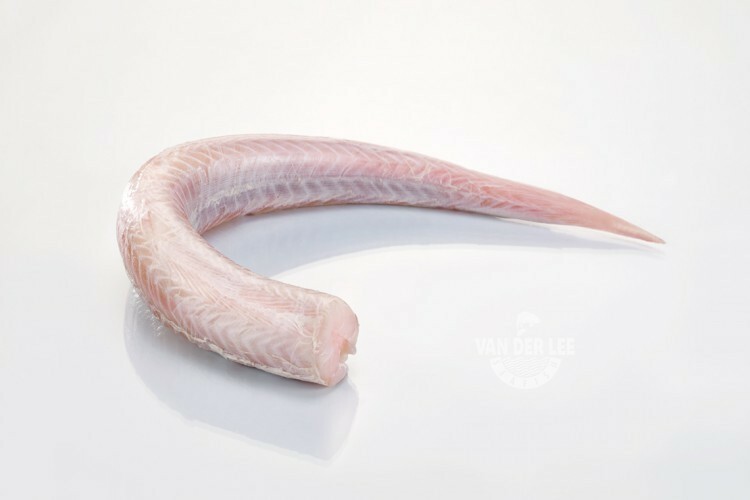 Afterwards we remove the guts, head, fins, and skin of the dogfish and bring them to our company in the Netherlands. The dogfish has a brown back and is white on its underneath. The dogfish own their name to the fact that they aggregate in large numbers, just like a pack of dogs. One hundred grams of dogfish contains around 80 calories. Moreover, the dogfish also contains a lot of proteins an B vitamins, which play an important role in keeping our bodies healthy. The dogfish is one of the most popular sharks to be consumed. As a supplier we export our dogfish mainly to Italy and the United Kingdom. There are several ways to prepare the dogfish. For example, you can roast, fry or bake the dogfish. In Portugal they like to prepare the fish in a soup. However, in this country the dogfish is also often prepared with garlic. Another way to prepare the dogfish is to cook it in olive oil and serve it with capers, green olives, fresh tomatoes, onions and parsley. This will make a healthy, Mediterranean dish.